There are many Atlanta movers out there, but not all are quite the same. Some are small operations that may be inexpensive, but do not offer much. Others are larger operations that may be more expensive, but offer more moving services. And some, like Bulldog Movers, offer many professional moving services at a competitive, fair price, and also have a large storage facility where you can store your belongings in a protected environment during the course of a move. 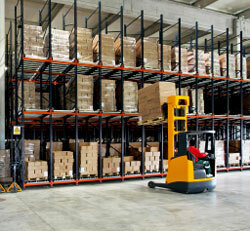 40,000 square feet – There is plenty of space available at Bulldog Movers. Dry – We store all items raised above the ground to keep them free of water that may be on the ground after rain showers. Secure – Our facility is watched by surveillance cameras at all hours of the day, ensuring the safety of your belongings. Temperature controlled – Your storage items will never be subjected to extremely hot or cold temperatures. Customized – We can custom build wooden crates for your items to keep them secure and protected. So, if you’re moving a lot of items from one home to another or one office to another and need to store some temporarily, trust Bulldog Movers to provide you with ample storage space where you’ll always know that your belongings are safe. To find out more about our Atlanta movers and all the different services we can provide for you, please call or e-mail Bulldog today. Our Atlanta movers provide moves for residents of Fulton, DeKalb, Cobb, Gwinnett, and all surrounding counties.